If you haven’t yet decided what kind of theme your baby shower will have, then this is a great place for you to be. The following 3 baby shower theme ideas are unique and can be a lot of fun. The beloved children’s book can serve as inspiration for your baby shower, and can be a lot of fun. A talented baker can create a cake that matches the theme well, and you can play games to determine how well your guests know the book. A trivia game that features fun prizes is a great idea. You might also have your baker create some delicious cookies like the ones below for your guests to enjoy! This is a truly unique idea because most people don’t consider a nautical theme for their baby shower. Have a donut shop create colored donuts that look like life preservers, make quarter-cut sandwiches into sails and use pretzel sticks for the boat. 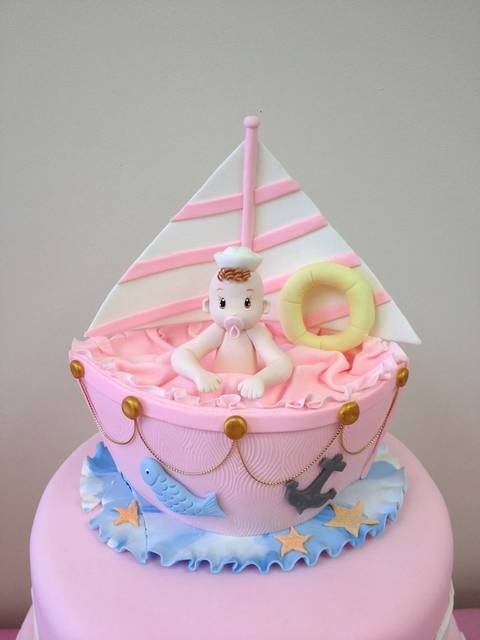 You can also have your baker create a beautiful cake like the one below featuring a fun little sailor. Like the others mentioned here, this is perfect for either gender and can be a lot of fun. 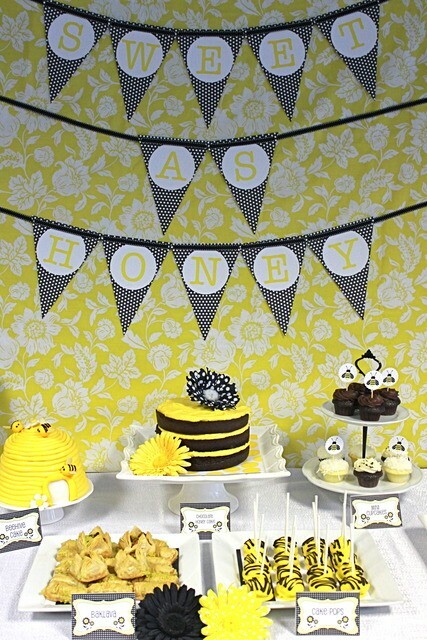 For a bumble bee themed baby shower, you can have honey cakes, lots of yellow and black décor, and super fun games. Check out the table décor and treats in the picture below to get some great inspiration. Baby showers are such a wonderful time for the girls to get together and celebrate the upcoming debut of your little one; make sure it’s super special with the perfect theme. 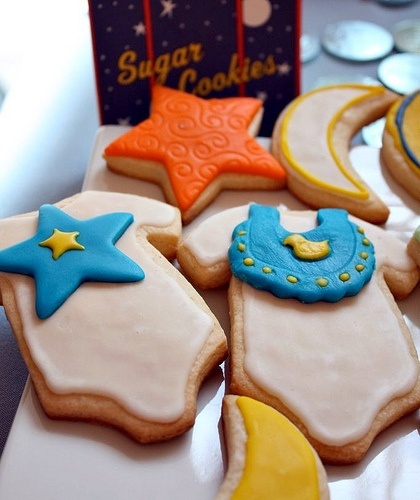 This entry was posted in Baby Shower Planning and tagged baby shower theme, goodnight moon. Bookmark the permalink.